Our MRI capabilities include high-field imaging of the brain, spine, neck joints, abdomen and pelvis. Our areas of expertise include MRI angiography to examine the heart and other vessels and MR arthrography to examine joints including the knee and hip when standard x-rays are inconclusive. Our radiology team is skilled in MRCP (magnetic resonance cholangiopancreatography), a non-invasive imaging technique used to visualize the biliary and pancreatic ducts to determine if gallstones are lodged in any of the ducts surrounding the gallbladder. MRIs are used in the diagnosis of many, varied conditions and are often requested by physicians to obtain detailed information not already provided by other imaging technologies. 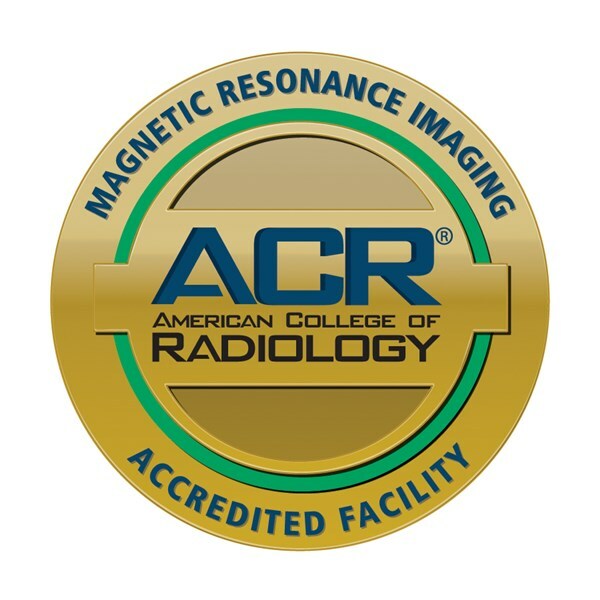 Magnetic Resonance Imaging (MRI) employs strong electromagnets, radio frequency waves and powerful computers to generate two and three-dimensional images of the body's organs, tissues and bones. Unlike x-rays and CT scans, MRI technology does not require the use of radiation. Images are gathered using a large, tube-shaped magnet that creates a strong magnetic field around the patient. A radio frequency coil is placed over the body part that is to be imaged. The magnetic field and radio frequency waves alter the alignment of hydrogen protons within the body. Using signals emitted from the protons, computers reconstruct images of the body part to be studied.